March 24, 2019 By HHSA / Posted in Uncategorized. The 2019 classification tour took place in February, and wow- what a tour it was! 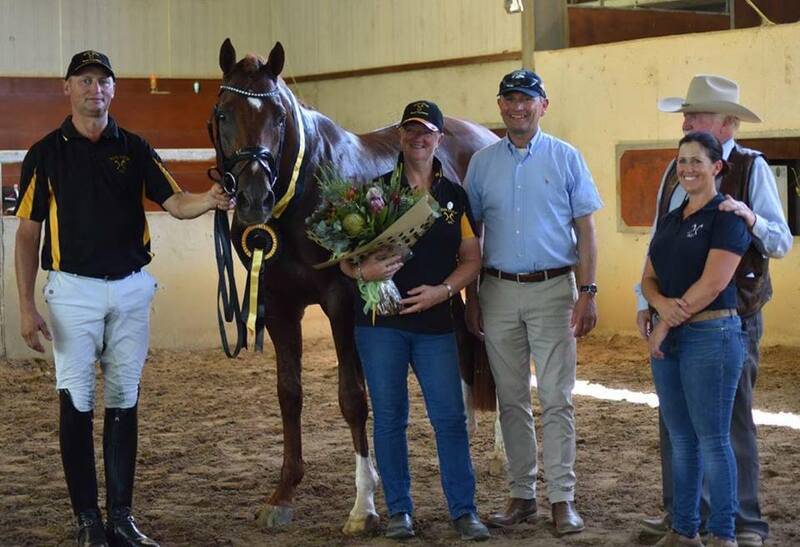 Our Classifiers, Dr Werner Schade (Germany) and Volker Ehlers (USA) were so impressed with the quality of horses in Australia, and a record number of foals were awarded with the prestigious “Gold” award. Tour numbers were up overall from the last couple of years-it is wonderful to see the support for the Hanoverian brand and the classification process despite the challenges of drought that most breeders have been exposed to. The licensing of 2 four year old stallions on Australian soil during the tour was a historical first for Australia. We are delighted that Revelwood Stedfast (Stedinger/ Depardieu) owned by Justine Greer, and Remi Vigneron (Viscount/ Lanthan) owned by Cheryl O’Brien of Remi Stud will be eligible for their breeding licenses after meeting the performance criteria. Three older stallions were also inspected on the tour- Iresias L (Johnson/ Ferro- owner Sarah Hanslow), Braveaux (Bordeaux/ Don Primero- Owners Gina Montgomery and Lisa MacDonald) and Beluga (Balou Du Rouet/ Carismo- Owner Helen Chugg) and were also held to be eligible for admission to the studbook as fully licensed stallions after attaining the required performances in sport.